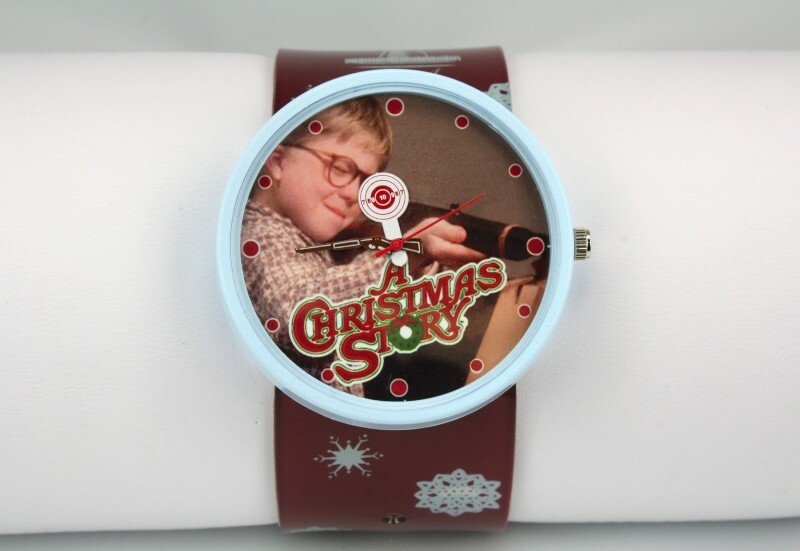 Make sure you get a look at this watch before you shoot your eye out! What time is it, Ralphie? 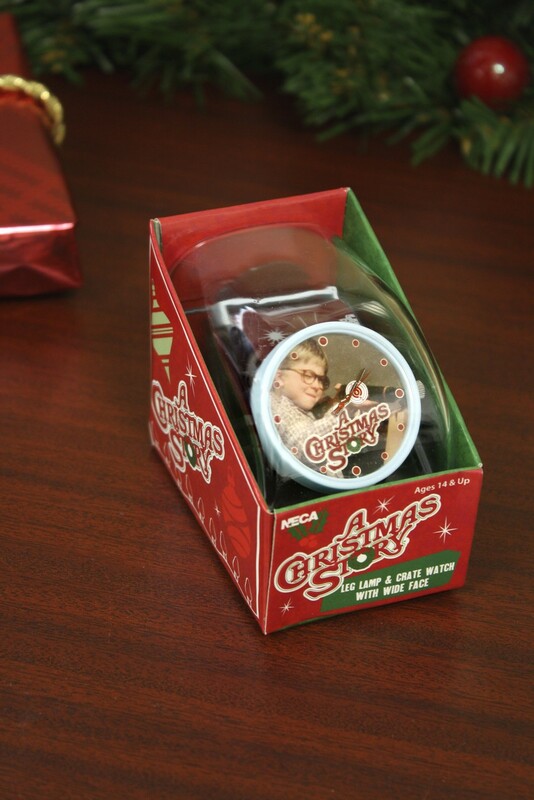 The young hero of A Christmas Story is “aiming” to keep you on time with this wearable, collectible wristwatch. 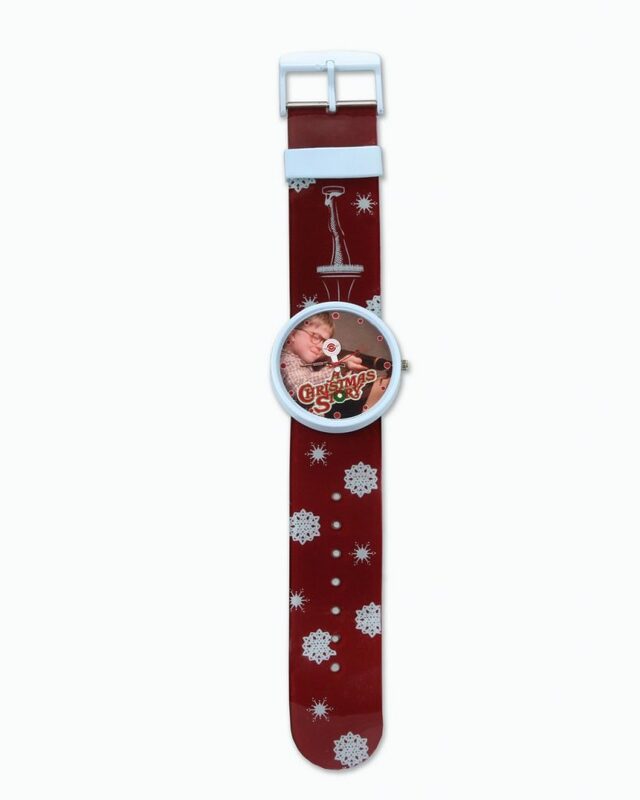 The art on the face celebrates his quest for a Red Ryder BB gun — plus the hour and minute hands are a BB gun and a target! Wide plastic band fits wrists up to 7.5″ around; face measures 1.5″ across. Uses one button cell battery, included. A striking conversation piece for any fan of the beloved movie!